Most of us have a family member or loved one who has suffered from Alzheimer’s disease or a related cognitive condition, and we know how devastating that can be for those individuals and how difficult that can be for their caregivers. 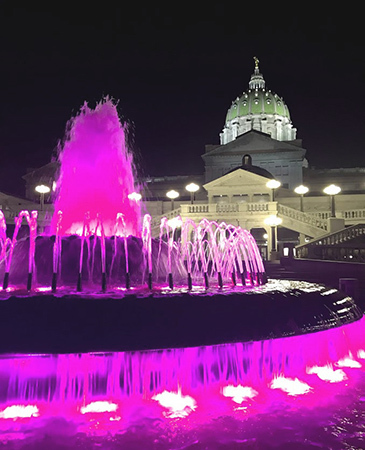 To help bring greater attention to this issue – along with additional state support – the House approved legislation I authored, House Resolution 969, that requests that the Pennsylvania secretary of Health declare Alzheimer’s disease and other related dementias as a public health issue. By making Alzheimer’s disease a public health crisis, we can bring more attention to the issues faced by those living with dementia to the forefront of the Commonwealth’s priorities. We have a great need for more dementia-friendly communities, more assistance for caregivers, more education for first responders and physicians, and earlier diagnoses for the family to prepare for financial and legal decisions. If you or someone you know is in need of help, please contact the Alzheimer’s 24/7 Helpline at 1-800-272-3900. Residents wishing to obtain REAL ID-compliant driver’s licenses and photo ID cards can obtain them, beginning in March 2019. In the meantime, customers are encouraged to pre-verify for REAL ID for gathering the required documentation as soon as possible, giving them ample time to prepare. Last Friday, I was happy to extend Chuck Beck best wishes on his upcoming retirement. 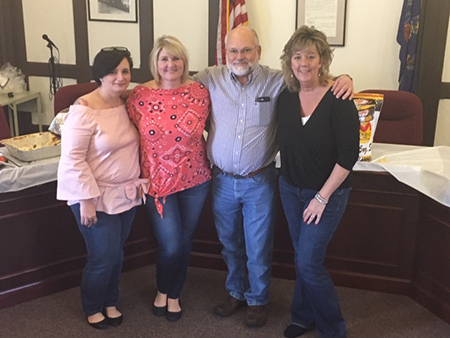 Chuck is retiring after 42 years of employment with Milton Borough. 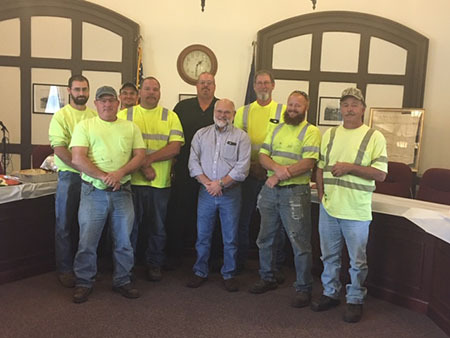 He began his career as a mechanic in 1976, then public works director and then onto his role as borough manager, where he has served for the past 16 years. 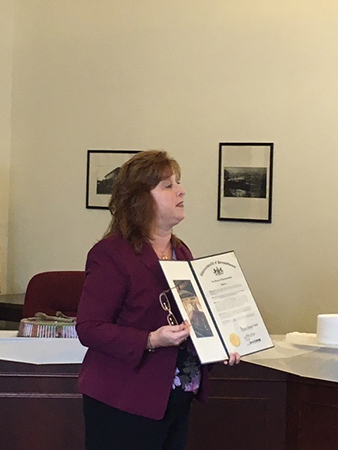 He has been instrumental in the success of several projects, including the completion of the renovations of the borough office and police department. He's also been active with the Milton Area Industrial Development Association. Throughout his career, Chuck has demonstrated remarkable knowledge, ability and integrity in carrying out his many responsibilities. Congratulations on a well-deserved retirement! Grant funding for energy efficiency and pollution prevention projects for small business owners and farmers are still available from the Pennsylvania Department of Environmental Protection (DEP) through the Small Business Advantage Grant program. Pennsylvania-based small business owners with 100 or fewer full-time employees are eligible for the grants. Projects must save the business a minimum of $500 and 25 percent annually in energy consumption or pollution related expenses. Natural resource protection projects are exempt from the minimums; however, the projects must be able to quantify sediment and nutrient reductions into nearby waterways. Businesses can apply for 50 percent matching funds for equipment or materials, up to $9,500, when adopting energy-efficient or pollution prevention equipment or processes. Applications are considered on a first-come, first-served basis, and will be accepted until fiscal year 2018-19 funds are exhausted, or April 12, 2019, whichever occurs first. The complete grant application package, which includes step-by-step instructions for completing the on-line application as well as all related forms, is available by visiting the DEP Small Business Ombudsman’s Office website. 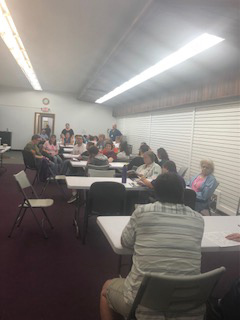 Thank you to the members of the AMPES group of the Arc Susquehanna Valley-Sunbury for inviting me to speak with them about state government and my responsibilities as a state legislator. 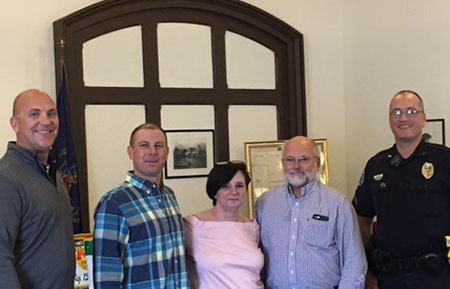 The group is a weekly drop-in program offered through The Arc, Susquehanna Valley and is designed for persons with intellectual and/or developmental disabilities (self-advocates). This once-a-week program offers crafts, recreational activities, light snacks, life skills and socialization training. This month’s session involved learning more about state government and the importance of community engagement and participation. The Keystone STARS performance standards are grouped into four levels. The standards address staff qualifications and professional development, early learning programs, partnerships with family and the community, and leadership and management. The goal of the proposal is to help educate parents about day care choices and to encourage low-rated child care centers to improve their programs. Fall leaves are just about to turn across several areas in Pennsylvania, helping to boost tourism activities in many regions. According to the Pennsylvania Tourism Office, Pennsylvania has a longer and more varied fall foliage season than any other state in the nation. All PennDOT driver license and photo centers, including its full-service center in Harrisburg, will be closed Saturday, Oct. 6, through Monday, Oct. 8, in observance of Columbus Day. Customers may still obtain a variety of driver and vehicle products and services, including all forms, publications and driver-training manuals, online through PennDOT’s Driver and Vehicle Services website, www.dmv.pa.gov. Please also note that our office will also be closed on Monday, and we will reopen on Tuesday, Oct. 9.